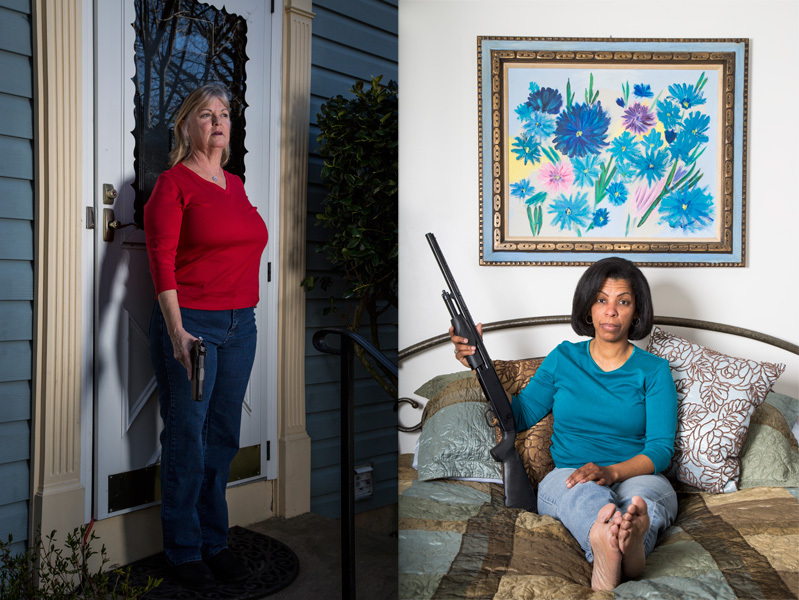 Left: Kim Hyshell at her home on the 12th February 2013 in Ashton, Maryland. Miss Hyshell's mother was murdered in a home invasion. Her father went on to buy her a handgun for self protection although she had no interest in weapons or shooting. She has trained and is now ready to use it if necessary. Right: Millicent Hunter at her home on the 12th February 2013 in Fairfax, Virginia. Miss Hunter sits on her bed with the pump action shotgun she keeps under it.